Vuky drinks “Water from Wilber” a tradition during the years Shaw served as President of the Speedway. 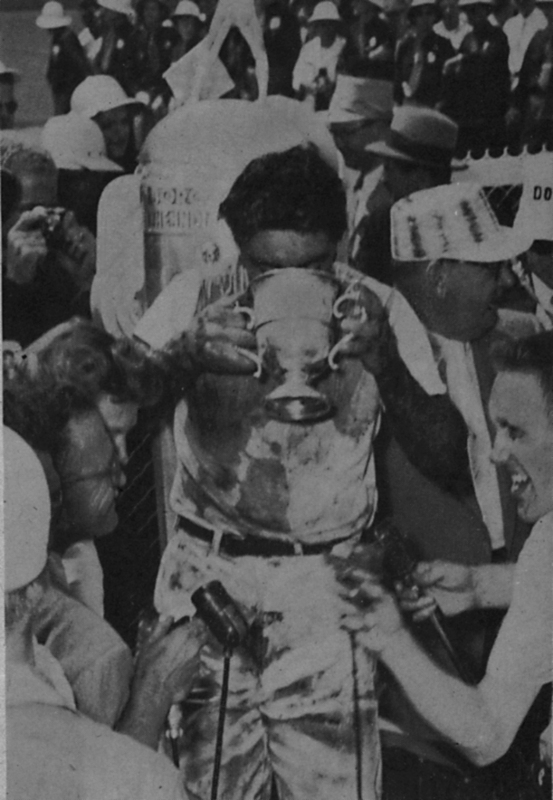 Vukovich drinks “Water from Wilber” a tradition during the years that Mr. Shaw served the speedway. He would unfortunately die later in 1954 as a result of a private plane crash.